Lisa Steinman. Photo by Sabina Samiee for the Oregon Arts Commission. As the symposium has suggested, there are a number of 1960s: a year in which work from the 1950s appeared in print (the physicality of print technologies involving a time lag); a year in which the social and political landscape silenced some, even as what was published has an energy still present in 2011; the year of the New American Poetry, 1945–1960 (the subtitle, worth underlining), by now surprisingly both capacious and ordinary, closed and defying aesthetic closure. A longer view can cast even more light on the multiple facets of 1960. In 1939 Philip Rahv proposed a distinction between “Paleface and Redskin”; his word choice makes us wince; his sense of who counted as a “redskin” — those, including Whitman, said to “control the main highway of literature” — sounds odd to our ears, as does his categorization of Eliot and Dickinson as more “paleface,” tending “toward a refined estrangement from reality.”  Rahv’s essay is primarily about novelists, but his sketch of an opposition between poetic schools seems simply to ignore innovative writers of the previous decade. A little over ten years after Rahv’s piece appeared, Paul Goodman’s essay on “Advance-Guard Writing, 1900–1950” — like Rahv’s piece published in The Kenyon Review,and focused mostly on fiction — noted that during the Depression and between the World Wars I and II, most people thought an advance-guard had simply vanished from the scene in the United States; innovative poetry did continue to be written, but no felt community persisted. Goodman suggests as well that there was in 1950 a sense of a larger cultural mainstream against which innovative work could and should position itself. Between Rahv’s 1939 and Goodman’s 1950, there’s agreement that a poetic mainstream exists, but not about what counts as such or about what is going on outside of that mainstream. 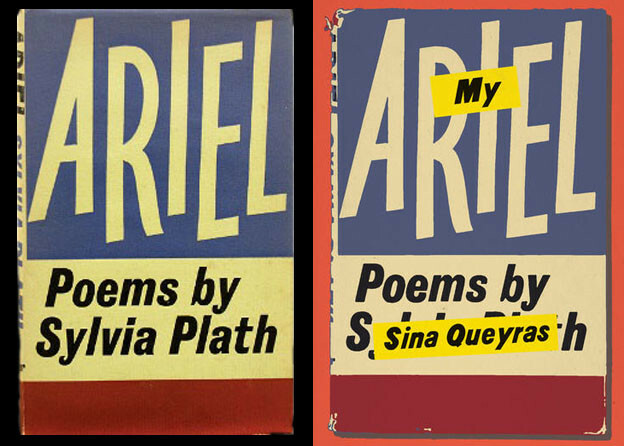 Turning to testimony from other poetry readers in the ’50s, one can see that local reading or writing groups devoted to poetry were often still fighting rear-guard skirmishes against modernist practices. Wings: A Quarterly of Verse — a small, staplebound but relatively well-produced regional magazine from Mill Valley, California edited by Stanton Coblentz (who had studied with Witter Bynner at Stanford) — has a continuing feature: facing pages, one entitled “This IS Poetry”; the other “This is NOT Poetry.” In 1956, a sonnet by Christina Rossetti and an epigrammatic quatrain by Lady Margaret Sackville counted as poetry. A free verse piece by Kenneth Ford and Williams’ eight-line “Sonnet in Search of an Author” (reprinted from The Nation) were dismissed as “not poetry.”  In short, there was a segmentation of reading communities and reading practices: what looked publishable to The Nation, looked dismayingly innovative from Mill Valley. Meanwhile, Richard Wilbur — whose 1957 Pulitzer Prize suggests at least one form of mainstream recognition — was writing “Speech for the Repeal of the McCarran Act” in 1950, which hardly placed him in a cultural or political mainstream. By 1956, Ashbery’s Some Trees was chosen for the Yale Younger Poets Series by W. H. Auden. It seems that in ’50s America, various poets and their various readers defined what was innovative and what mainstream in so many ways that it is difficult to find a common core. True, many clearly felt there was a mainstream. Felix Stefanile, editor of Sparrow, looked back with some nostalgia at the ’50s saying there “was a real and powerful establishment to fight. Because it deprived us, it gave us a vision of the Enemy,” while Creeley writes of Black Mountain: “we felt, all of us, a great distance from the more conventional magazines of that time. Either they were dominated by the New Critics, with whom we could have no relation, or else were so general in character that no active center of coherence was possible.”  This sense of an establishment and use of the first-person plural may have been more a function of the political culture of consensus in the fifties than a single-minded resistance to a united aesthetic front. Even Creeley’s comment notes that most poetry journals — I would add poetry readers — were not defining a single aesthetic. If anything, it was the smaller magazines that defined more unified communities, but there were multiple smaller communities. Certainly Lowell’s “tranquilized fifties” (as he said in 1959 and as would still have felt true in 1960) were poetically as well as politically and socially less homogenized than we might think. Maybe the myth of the fifties is what makes the multiple incarnations of 1960 surprising. Philip Rahv, “Paleface and Redskin,” Kenyon Review 1, no. 3 (1939), 251–256. Paul Goodman, “Advance-Guard Writing, 1900–1950,” Kenyon Review 8, no. 3 (1951), 357–380. Wings: A Quarterly of Verse, ed. Stanton A. Coblentz (1956), 20–21. Felix Stefanile, “The Little Magazine Today,” The Little Magazine in America: A Modern Documentary History, ed. Elliott Anderson and Mary Kinzie (Yonkers: Pushcart Press, 1978), 649; Robert Creeley, “On the Black Mountain Review,” The Little Magazine in America, 253.